We are located in Pinehurst, ID. Goose ‘n the Tree Cafe is a 7 table mom & pop type breakfast place located in the town of Pinehurst within the beautiful Silver Valley. We serve a scrumptious fresh baked breakfast 5 mornings a week… down home cooking with a unique & flavorful twist. All our breads are made fresh in-house and many of our breakfast items are made from scratch. 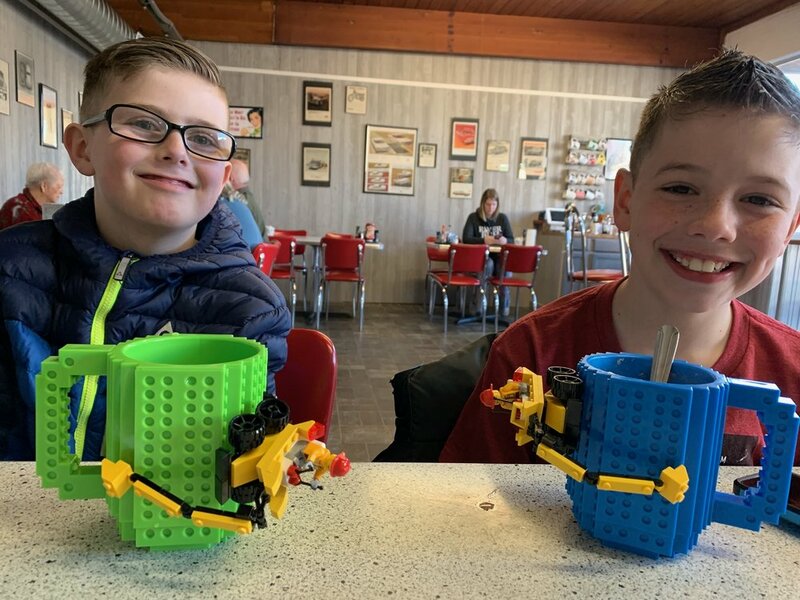 Oh by the way, we are so family-friendly that we have a small kids area for the kiddos to entertain themselves while the grown-ups eat their breakfast! We do offer our housemade baguettes, bagels, biscuits, & sourdough bread to go! Whether you live in the Silver Valley, are in town skiing, mountain biking, hunting, camping, fishing, cycling, or just passing through we invite you to stop by some morning for a down home breakfast with big flavor. We are unable to take reservations because of our size (7 tables / 32 seats)…. and Saturday & Sunday are our busiest days. 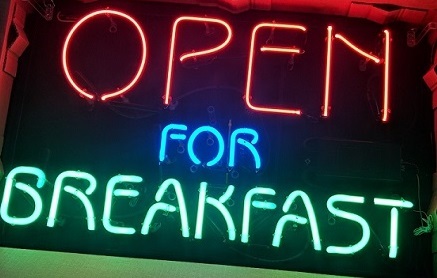 This is a first come first serve breakfast place, However, we do promise our food is worth the wait! We would love to offer our dining space for business meetings, larger groups/ families. Call us if you have a large group / or hold your breakfast meeting at Goose ‘n the Tree on a Monday, Thursday, or Friday.. and we will work out a reservation to accommodate all of you - we can seat up to 32 ppl. We also offer catering and rental of Goose ‘n the Tree dining space for your next event or party. Check out our Catering page for more information. We offer a 15% discount to all Military, Police/Sheriff, Firefighters / EMT’s. Thank you for your Service! Join the Goose ‘n the Tree Breakfast Club! Have your own coffee mug hung on our wall for you to use anytime you come in to have Breakfast! All you have to do is…. Eat breakfast with us at least twice a mug you can claim one of our eclectic and fun mugs as your own to use when you come in to eat. Or Eat breakfast with us at least once a week you can claim a mug of your own that you would like us to design especially for you! Reservations are limited on our weekdays (Monday, Thursday, Friday)… please be aware that at this time reservations are unavailable on the weekends: Saturday & Sunday (weekends are first come first served / wait list).. I promise you our food is worth the wait. We do try and accommodate large groups, business meetings, and reservations on the weekdays. Give us a call or fill out the form below if you have a large group / family or if you would like to host your next business meeting or event at our Cafe.